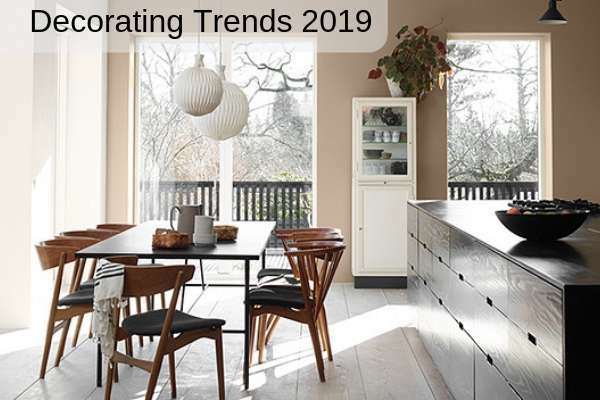 Whether you are thinking of selling your home in the near future and are looking for ways to update your home, or whether you’re going to stay put for a while, you’ll want to know what’s the latest news in home decorating trends. I’ve consulted all the masters of design: Elle Decor, Houzz, House Beautiful, and a few local designers for their views about home decor in 2019. The overwhelming majority agree that we are collectively craving a comfortable stress-less environment at home. Our decorating trend forecast for today’s homeowners shows how today’s home decor is increasingly influenced by our busy lifestyles. Everyone wants to be comfortable in their nest, and that often includes decorating in colors and styles that reflect who they are. Whether you put a lot of thought into your decor, or whether you do a quick makeover, whether you use what you have accumulated over the years, or whether you love to purchase an entire new look, this decorating trend forecast has something for you! You may have noticed during 2018 that we got some relief from the obsession with grey. You remember the old adage – Too much of a good thing isn’t very good! We’ll be seeing a continuation of some of the recent styles and colors, including grey, just not so much of it. Good news, as far as I’m concerned! We hear so much today about how our hectic schedules and the stress they produce are taking their toll on our health and well-being. It seems that many Americans are seeking a more comfortable environment at home, including their decor. Along with physical comfort, we’re seeing a desire for emotional comfort, with an emphasis on cozy surroundings. The modern farmhouse look is all the rage. Before you envision a room full of barn doors and rustic elements, modern farmhouse has come a long way from that. Modern farmhouse decorating involves a more sophisticated, elegant and simplified touch, according to many designers in 2019. Minimalism has been a growing trend for several years. As our lives get more complicated, it seems we’re looking for our homes to be more simplified, less cluttered. Minimalism this year will be less structured and softer than we’ve seen in the past. Simplicity in design is about mindful living and creating an environment to disconnect and recharge. Soft, washed neutrals, greens and pale pinks are examples of popular combinations that accomplish this look. Color palettes like these are all about swapping contrast for color harmony. It’s not so much about the perfect color scheme as it is about the organic blend. Every fall many paint manufacturers and decorating gurus announce the Color of the Year for the coming year. Garden Patch 326-5DB is a lovely green that does exactly like it suggests, makes you feel like you can bring the garden right indoors to whatever room you’re in. It’s not too deep, it’s calming and soothing, and certainly comfortable. This shade is part of Dutch Boy’s “Optimistic” group of color palettes, which helpfully puts together eight colors that coordinate nicely. I love it when paint companies put together design palettes to help some of us less imaginative folks put elements together. Gray is still the most popular neutral shade. It’s classic and chic, and goes well with everything. It also works well with today’s minimalistic styles as it is often considered calming. It also is agreeable to both genders. But even so, there are a lot of different gray tones from which to choose. How to choose the right gray? Debbie Gartner, a.k.a. The Flooring Girl, has written a nice guide to choosing a gray paint color, What are the Most Popular Shades of Gray Paint? Dunn Edwards is following suit with it’s own earth-toned color, Spice of Life DET 439. According to Dunn Edwards, earth inspired hues are trending all over the world as we look for ways to get more in touch with nature in our high tech lives. It would appear so from these earthy shades. Behr’s Color of the Year is a similar blue-green mash-up, but much milder. Blueprint. Yes, just like in a blueprint that an architect or builder uses. The company says that blueprint works seamlessly with every other popular color this year. See Behr’s color palettes and you’ll probably agree. Several companies are moving to more bold colors. 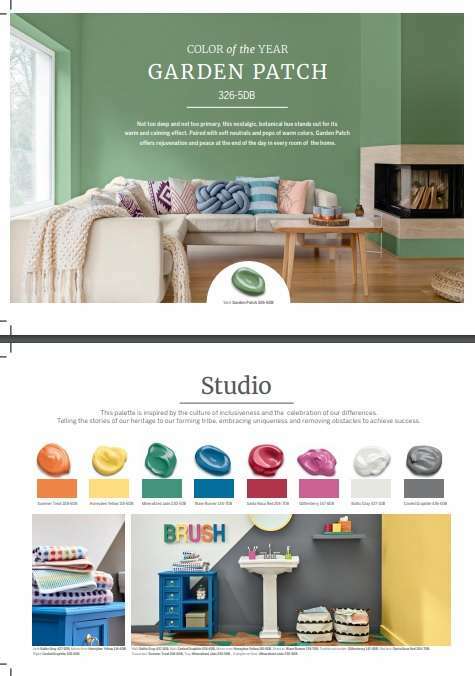 PPG Porter Paints color of the year 2019 is a vibrant blue-green called Night Watch, a more elegant version of last year’s popular teal shades. It’s really a sophisticated dark teal that makes a great backdrop to beautifully highlight your furniture and other decor. The brass fixture goes nicely with Night Watch. Lastly, here is Pantone’s Color of the Year 2019. Living Coral. What do you think? Honestly, I’m not a fan. It is reminiscent of our green and coral Scan couch we bought for our first home in 1987. It was to die for then. In modern decorating, neutrals are no longer just beige and white. Neutrals next year will include shades of green, as many people favor the eco-friendly feel. You’ll see hazelnut, muted pastels, soft clay, mist and mushroom. .
Grey is still the most popular neutral, according to House Beautiful, and particular pewter is popular. The combination of soft grey walls, charcoal doors or trim, and a whitish-grey ceiling is going to be very popular, and a good background for any color combination chosen for furniture and decor. Any light pastel is considered a neutral, especially blues and greens. Be aware, however, that designers are moving away from cool grays, in favor of warmer colors. When this happens, the popularity starts to fade with the public. You can count on a year or two more with this neutral, then you’re decor will start to look dated. Neutrals are favored especially in larger purchases like cars, sofas or carpet. “For those big-ticket items, we’ll make the safer choice such as neutrals, from rich gray to camel,” says Emily Kiker Morrow, Director of Color, Style and Design at Shaw Industries. “We’re using trendier colors as accent pieces.” That seems like great advice. Follow The Highland Group’s board Night Watch on Pinterest. Follow the Highland’s Board Terracotta on Pinterest. Follow The Highland Group’s board Green on Pinterest. Color Palettes – As you can see, there are so many colors to choose from next year. Decorating trends for today’s homeowners are full of variety and choice, whether we’re talking about colors, styles, furniture, curtains or fixtures. It really seems that the color combinations are the thing to pay attention to if you want to update your home’s look. Whether you like bold colors, like Night Watch, or soft muted colors, like Cool Gray or Garden Patch, Simplicity and Minimalism are the modern aesthetic. No matter which way your decorating tastes lean, choosing the complementing colors is the key to having a winning look. Simplicity – Scandinavian style is trendy now, as it is the epitome of simplicity. The trend includes airy, spacious rooms, less cluttered and more straightforward. As our lives become more cluttered, we all seem to want our spaces to move the other direction. Hide-Away storage pieces are more in demand as more people are opting for smaller, but smarter spaces. .
Mid-Century Modern – Thanks in part to the television show “Mad Men” this style has become popular in the last few years. It spanned a period of about 3 decades from the mid-1940’s to 1970. Many are attracted to the simplicity and clean lines of mid-century modern furniture, accessories and decor. A few iconic pieces can work well with any room. This furniture also mixes well with other styles, like today’s industrial looks..
Hand-Made is in style, including crafts from other cultures. Recycling is big including crafty DIY decor. A touch of hand-made will cross all kinds of styles. Hand-made items of sustainable materials like jute, rice paper, and clay will be popular in 2019. .
Nature-Inspired – Natural elements are still a big part of modern decorating and will continue to be next year. Including plants, wood, stained wood, bone and horns, leather, baskets and natural stone, granite, and marble is a trend that crosses all styles, from modern to vintage and everything in-between. Botanical prints, and large floral prints are in style for art, furniture, window coverings and even wall paper. .
Floral is Everywhere – Large floral designs on wallpaper, curtains, pillows. It came back with a roar last year and it’s here to stay for a while. Remember the Chintz from the 80″s? Only now it’s updated for 2019. Straight up or abstracted, flowers are in. The New Modern – What we define as modern changes throughout the years. Modern decor includes a fusion of styles, including ethnic patterns, mixed metals, rustic and natural elements, organic and eco-friendly touches, and the addition of hand-made items, especially items from different cultures. Eclectic and layered is the New Modern.. Jewel Tones – Bold and vibrant colors are still in. They’re great for accents, layered on a white backdrop for contrast. Or, you can go all in, like the use of “Night Watch” in the picture above. Black is back! Look for bold black bathrooms, as well as jewel toned bathrooms. The bathroom is a great place to test out new decor trends, because it’s usually a small room with minimal fuss if you don’t like the result. 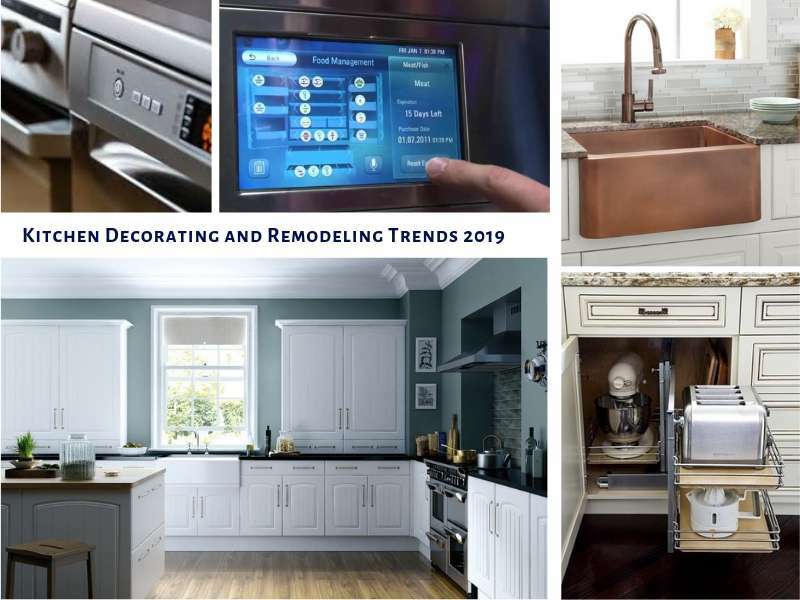 Check out bathroom trends for 2019. Velvet – The fashion runways are full of velvet. The same is true for design and decorating. Velvet is hot in 2019! Velvet is luxurious and you only need a touch of it. You can start with throw pillows to test it out. It’s also cozy, so go ahead and go big with a velvet couch or chair. Velvet is also a great way to add a vibrant color to your neutral backdrop. Mixed metals are gaining popularity, although they can be tricky. Designers suggest using no more than two or three together. Some metals mix well with others, and some patinas work well with others. Copper is especially popular. It’s always best to try them together in the store before you make the commitment. Follow The Highland Group’s board Outdoor Rooms on Pinterest. .
Hardwood floors are still wildly popular, no matter what style your home is. Hardwood floors add value to a home, compared to many other flooring types. There are so many more choices than there were even a decade ago. Dark hardwoods have been surging in popularity for a few years. This next year we’re going to see all varieties of hardwood floor shades. How to know which is the best choice for your home? My friend Debbie Gartner has all the info you need to not only make smart decisions about hardwood floors, but to best care for them. What Types of Hardwood Flooring is Best For Dogs? For much more great information about choosing and caring for your hardwood floors, be sure to explore Debbie’s blog. 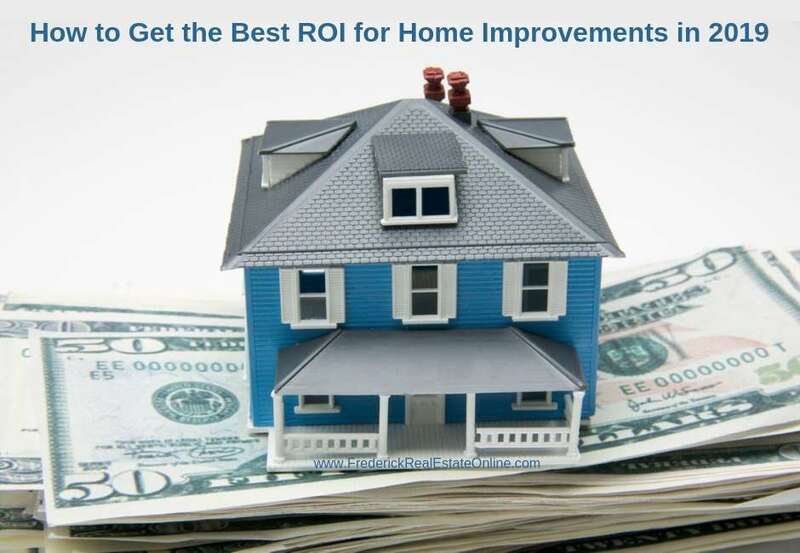 Getting your home ready for the market includes some very practical steps, like repairs and replacement of broken items and systems, lots of cleaning and certainly de-cluttering. But part of the process involves some psychology, the psychology of using decor to appeal to buyers. Preparing your home to appeal to the largest number of buyers includes some smart and careful staging. Staging works well when you add elements of what is hot in decor. Small touches of the latest decor trends suggest to savvy buyers that your home is updated…and probably well cared for. Incorporating decorating trends may be just what is needed to make your home more salable. Staging Your Home for Sale . If you are thinking of selling your home, consider a fresh coat of paint in some contemporary neutral shade from a contemporary color palette. 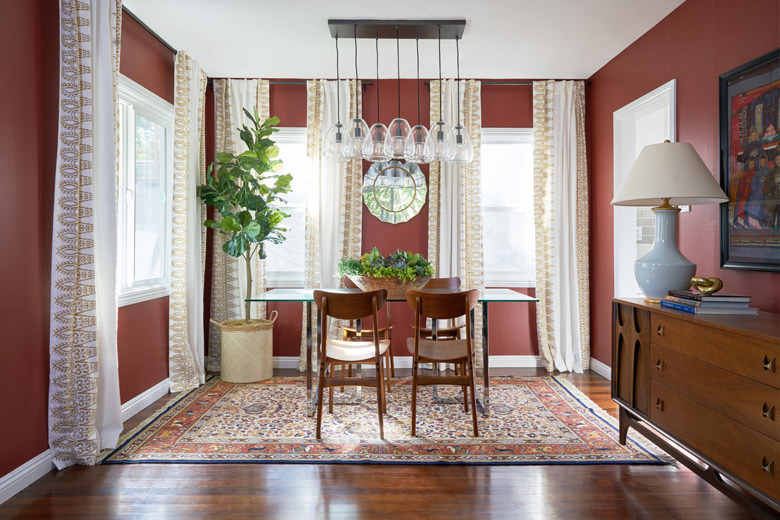 A few touches of the new color palettes in the furniture, window coverings or occasional pieces, some touches of wood or trendy metals, and you can have a great new look that appeals to today’s buyers. Happy Decorating! . 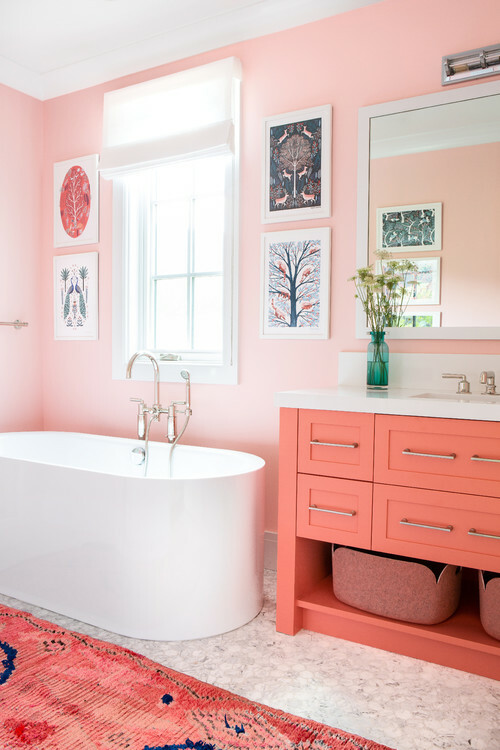 Bathroom Design Trends for 2019 – Zen is In. Virtual Remodeling and Redecorating – There’s an app for that! The decorating trends forecast was written by Karen Highland, blogger and licensed agent in Central Maryland. Whether you are thinking of selling your home in the near future and are looking for ways to update your home, or whether you're going to stay put for a while, all homeowners enjoy staying in the know about decorating trends.